This is on my good friend Josh. 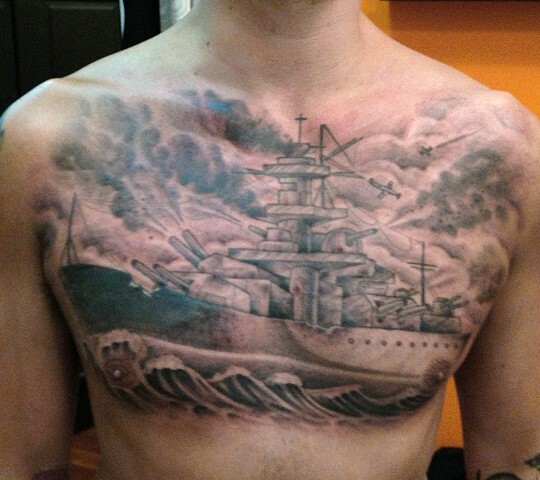 I offered to tattoo a traditional (ie: sailor jerry style) battleship on his chest in exchange for beer and hot wings. Somehow 'traditional' turned into this thing, which took me 5x's longer, still is not finished, and now he moved to Las Vegas and can no longer go get beer and wings with me. Scratch that first part. ex-friend.